Scientists trying to create an effective AIDS vaccine face a daunting, and a seemingly insurmountable, problem — HIV is a notoriously hard virus to kill. This is partly because of its unique structure, which allows it to hide from the body’s immune system. Now, in what may be the first step toward the creation of an effective vaccine against the recalcitrant virus, a team of researchers from the Scripps Research Institute in La Jolla, California, has developed a new technique to analyze the glycan shield on HIV's protective outer glycoprotein layer. “The ability to identify the glycan fingerprint on HIV's glycoprotein will help us develop a vaccine that matches what is found on the virus,” James Paulson, a biochemist at the institute and lead author of a study describing the technique, said in a statement released Tuesday. Vaccines work by stimulating the immune system to produce antibodies in response to antigens, which includes pathogens. In the case of HIV, scientists have long believed that virus’ protective outer glycoprotein layer can serve as the antigen that triggers the immune response. The problem, however, is that while the human immune system wants to produce antibodies that bind to the glycoprotein, a shield of sugar molecules called glycans block immune cells from seeing their targets and developing useful antibodies. With the new method, scientists can finally see which types of glycans make up this protective layer, and whether it has any vulnerable holes that make the virus susceptible to attack by immune cells. “For the new study, the researchers developed a way to figure out the composition of sugars on the glycoprotein. They used enzymes to break the glycoprotein into smaller peptide chunks. Next, the team used a technique called mass spectrometry to analyze these peptides and see if they fell into one of three categories: high-mannose glycans (a type with a specific kind of sugar), complex-type glycans (which are more mature glycans) or sites with no glycans,” the Scripps Research Institute said in the statement. 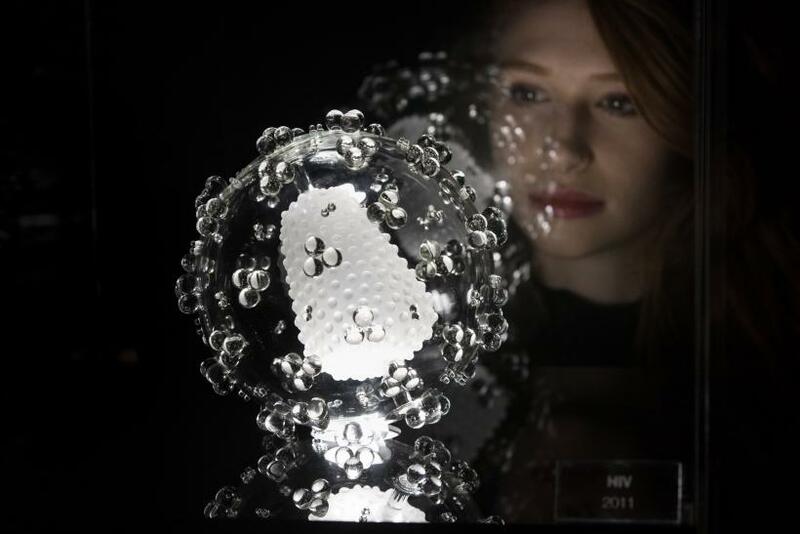 In their study, the researchers used an HIV-like vaccine candidate. The next step would be to use the tool to analyze the composition of the glycan cover and look for glycan-free sites on the native form of HIV. “Then we can see if the fingerprints match up,” Paulson said. The pressing need for an HIV vaccine is unquestionable. According to UNAIDS, there were approximately 36.7 million people living with HIV/AIDS at the end of 2015, of whom 1.8 million were children. Roughly 2.1 million people became newly infected with HIV in 2015 — something that could have been avoided if a safe and effective vaccine had been available.